I am a huge fan of Jones Soda. They do a lot of different flavors and they invariably taste awesome; it’s because of the sweetener that they use – cane sugar. 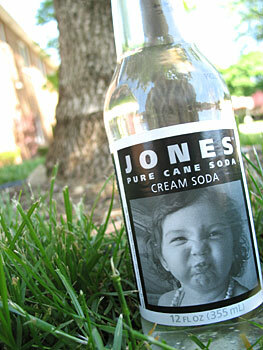 There aren’t many other soda’s that I really enjoy – I find most of them a little overpowering but Jones is always wonderful (Cream Soda is my very favorite but there are so many other good kinds). Just kinda tough to find at a store in a format that isn’t a big wallet lightener. Sidebar – I found a little soda-hack that worked well for me, YMMV. At a fast food joint with self serve soda, I saw that the Sprite had a little lever that was marked soda. Mix this Club Soda half and half with whatever flavor you wanted to get and it’s a less intense version. It still has all the bubbles (unlike diluting with water) and the flavor is still there. Yum.